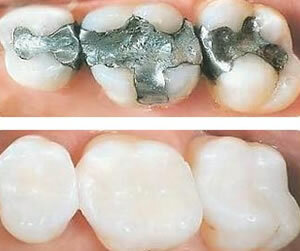 White filling composites are preferred by most patients. This is due to the natural color, strength and overall appearance and feel. Composites are naturally more comfortable.